North Canberra Untouchables celebrate after their semi-final win over Boomerangs White. Photo: Supplied. North Canberra Untouchables have continued their incredible late-season form by making their third grand final in the last four years with a win over the Boomerangs White in the semi-finals. The Untouchables defeated the top of the ladder Boomerangs 3-0 in a dominant display, with two goals from Michael Sydney and another strike from Brett Forward. With the score 2-0, the Boomerangs brought out the fifth man in a last-ditch attempt to get back in the game but to no avail. NCU continued their incredible second half of the season making it eight games undefeated with only five goals conceded. The Untouchables started their season very poorly with only three wins from the first seven matches. NCU goalkeeper Ray Moon said that the season took an upward turn after the team changed their playing style. The Untouchables will now take on Canberra Olympic Superprawns this Wednesday night, who according to Moon has been the team to beat for the last six years. 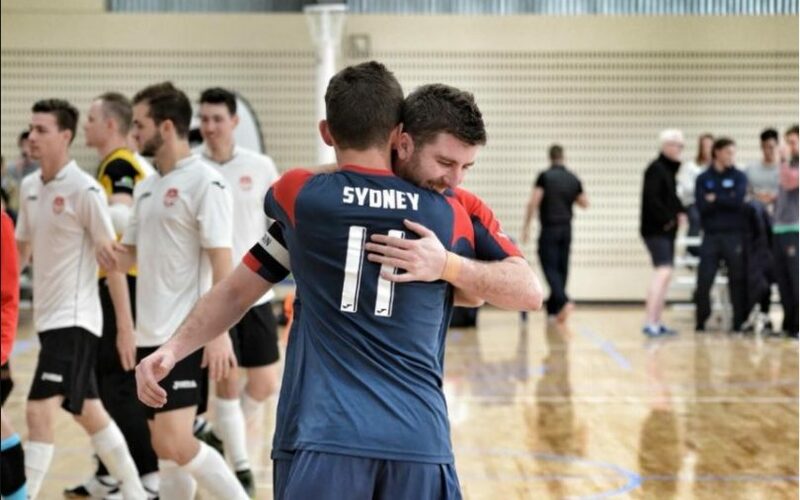 The second-placed Canberra Olympic Superprawns defeated the Timberwolves 9-3 in their semi-final on Wednesday night (7th of February) to set up a final against their big rivals.